Разстояние до летището 10,1 км. Имате въпрос към Star Lodge? Star Lodge е благоприятно място за почивка и отмора след напрегнат ден, добре разположен в религиозни интереси, плажове, разглеждане на забележителности зона на град Бандар Сери Бегаван. Разположен само на 21 km от центъра на града и на 12 km от летището, този 4-звезден хотел привлича всяка година множество посетители . С удобното си местоположение хотелът предлага лесен достъп до всички градски забележителности, които задължително трябва да се видят. Съоръженията и услугите предлагани в Star Lodge гарантират Вашия приятен престой. Най-важните съоръженията на хотела са безплатен WiFi достъп във всички стаи, 24-часова охрана, ежедневно почистване, магазин за подаръци/сувенири, пощенски услуги. Хотелът се характеризира с 100 стилно обзаведени стаи за гости, в някои от които ще намерите телевизор с плосък екран, достъп до интернет (безжичен), безжичен интернет достъп (безплатен), стаи за непушачи, климатик. Хотелът предлага прекрасни развлекателни съоръжения, такива като воден парк, голф игрище (в радиус от 3 км), открит басейн, детска площадка, градина, които ще направят престоя ви незабравим. Star Lodge е добър избор за всички посетители на Бандар Сери Бегаван, защото предлага спокойствие и безпроблемен престой. Staff were really friendly and helpful. Front office made you feel welcome. The room was of a good size and clean. The hotel itself was spacious and quite. The restaurant food was good and you had a choice of Italian or Japanese food during the day. They also had a selection of fresh cakes on display to choose from. 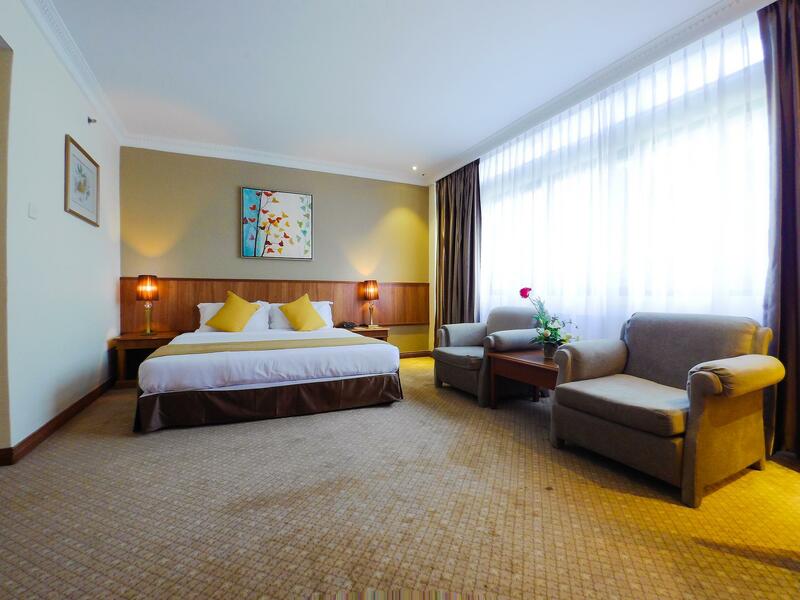 You are about a 20 min drive from the centre of Bandar and 10 mins from the airport. Jerudong Amusement Park is only 5 mins away and down the road. Overall, We found it to be good value for money and will be returning in the near future. Location is good, we can walk from public bus station, and near JP. There is Japanese restaurant, they have good food. And the kids enjoyed specially swimming pool!! When we asked pick up service from JP, no came van on time... So If u ask pick up service, be careful! Spacious and clean room, slowly getting old. Pool is nice, but the first day, all water games were off and the second day, the bounce castle was still not blown. I got the feeling they only pump it for outside paid parties, not for hotel guests. The restaurants are deserted, not a single customer. The location gives a feeling of isolation, I would only recommend it for guest who are going to Jerudong Park. Noisy in the morning..U could hear noise from outside ; the swimming pool, house keeping cleaning the nearby rooms and at the balkony areas, sound of doors being open and close.. tv not properly working and with limited chanel... breakfast was just so so..
good location, very close to Jerudong Park. Nice pool area with water features for kids. Room basic but very large. Big room and got 2 bed (1 King size and 1 Single size) Breakfast is everyday same menu and making you bored since I stay for 5 night. Very nice pool with small water playgroud. During weekend got air playground beside the pool. Kids very enjoy it. Location very near with Jerudong Park less then 5 minutes drive with Mc Donald and alot of verity stall. Wifi is stone age speed. Staff too loud speaking theirs foreign language (tagalog) need to improve this since most of tourists want to relaxing especially talking noise. Parking not enough during weekend since got wedding reception in the hotel. Hotel should give priority to guests stay at the hotel with cars. 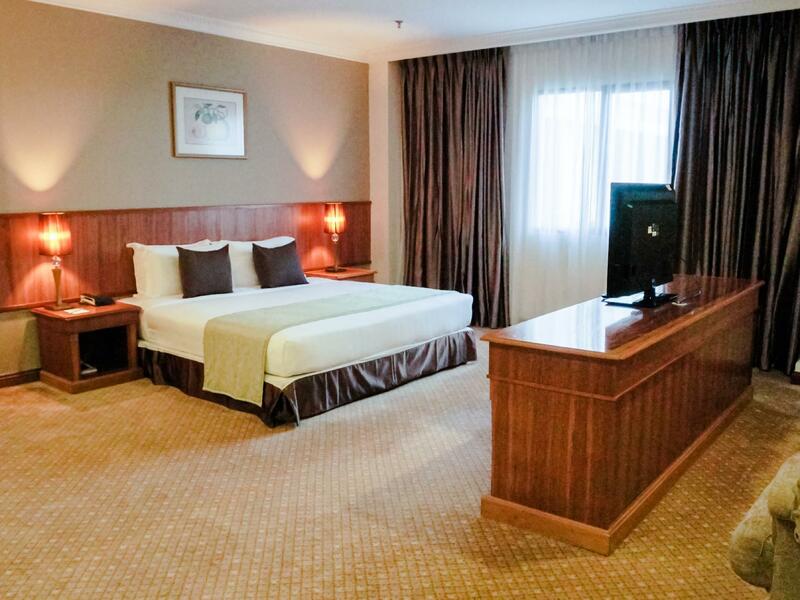 The hotel is strategically located near Jerudong Park which is just minutes of drive away. It has a pool with some water park type of setup where kids will enjoy. Staffs were helpful. A great place for families with younger children. 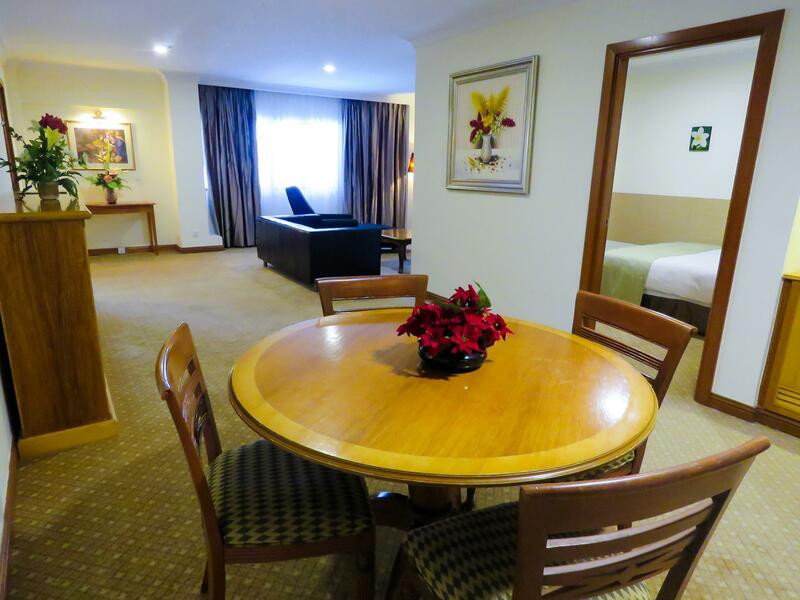 I love to stay here because it is very near to Jerudong Park, just 5 minutes driving. It also have its own coach to send and pick you up to JP. Besides that, their own pool is awesome where my kids love it very much. I think being here multiple times, I notice the change of food options for breakfast from a good complete variety to an almost vegetarian menu. For tourists coming from diff parts of the world having a variety of food options is preferable than having 90% veggies. I was there to attend an event close to the hotel. Great hotel, with very friend staff. Only disappointing part was the breakfast. It was not good. And the chef did not know how to make sunny side up. Apart from that, everything else was okay. Stayed in StarLodge for one night on a weekend. My room was on 4th floor facing palm trees and greenery. Spacious and well maintained. Food was very good, broad variety of choices for breakfast, the pool area a nice add-on. I liked the vivid but relaxed atmosphere in the hotel and the good location near to the sea and JPMC. But best of all was the warm and friendly welcome and hospitality by all staff. Felt like coming home. Would come back here anytime. We love this place. 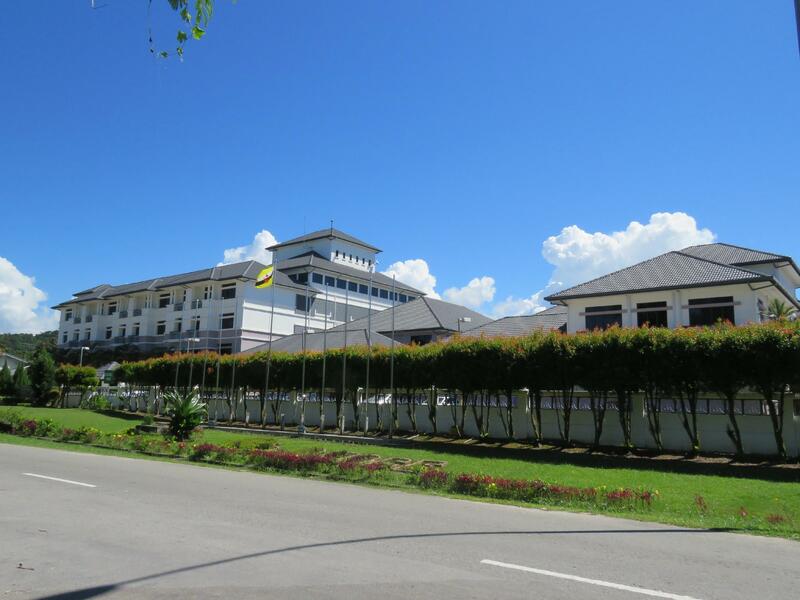 It is a walking distance to Jerudong Food Court and Amusement Park. The park is nothing interested, but at the food court we have dined a good food at reasonable price. The hotel provides transportation to city center twice a day for free. The swimming pool is nice. The breakfast is just okay. very comfortable for sure will bring along my families on next holiday its just the bowl toilet a bit smelly..the rest are very convenience for all guest staff are very polite and friendly we will be back! Pros: Quiet neighbourhood. Clean Room. Swimming pool for kids is there. Cons: Hot water lasts only for 5 to 10 mins and then it becomes less hot. Breakfast was rather dry and pale. No orange juice. Dear Hafizudin, Warmest greeting from Star Lodge! Thank you very much for the time for your feedback of your recent stay in our hotel. 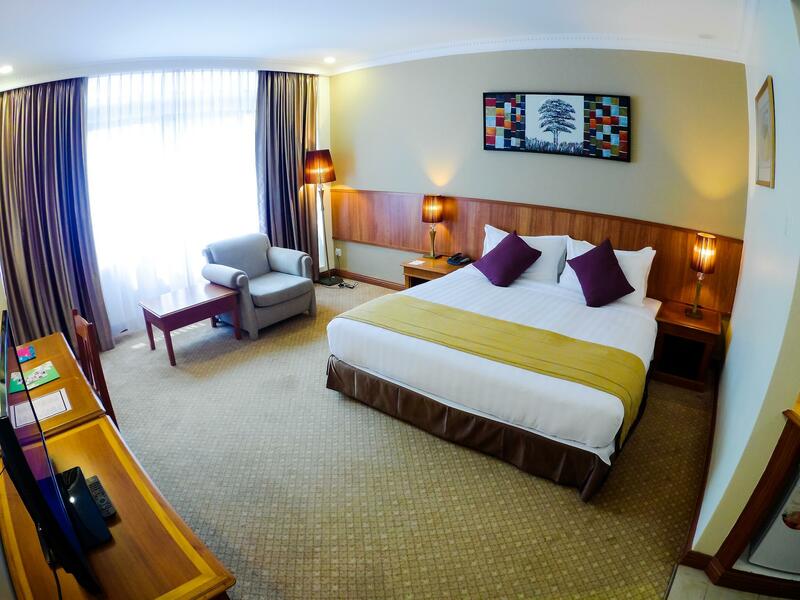 Thank you for choosing Star Lodge and for sharing your experience in our hotel. We truly appreciate and we are glad to hear from you your appreciation in our hotel mostly with our rooms and swimming pool. Our swimming pool with its water features will truly enjoy by your kids. With regards the water heater will look down over this matter and provide solutions. And for the breakfast, we will take note of this matter. We sincerely apologize if these affect your experience. It was truly not our intention. Your feedback is very valuable to us; thank you for sharing it with us. We will keep on doing our best and work as a team to provide excellent costumer service to our beloved guests. We are looking forward to serve you again in the near future. With much appreciation, Star Lodge Team.